Come up with a theme and bring the party to the Mission! Groups have hosted crafting events, movie nights, holiday celebrations, and so much more! Work with our volunteer department to schedule a time. Call 330-744-5485. If your business, church or organization would like to partner with the Rescue Mission on a project, we would love to talk! 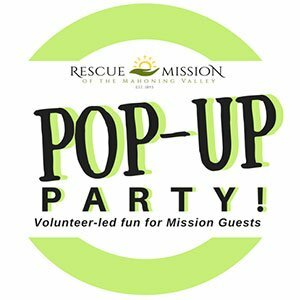 Our Mission Ambassador is available to coordinate food drives, do small group presentations about the Mission, visit VBS classes and much more! Call 330-744-5485 during regular business hours to learn more and ask for our Mission Ambassador. December - Wrapping paper, Towels and Wash Cloths would be nice! 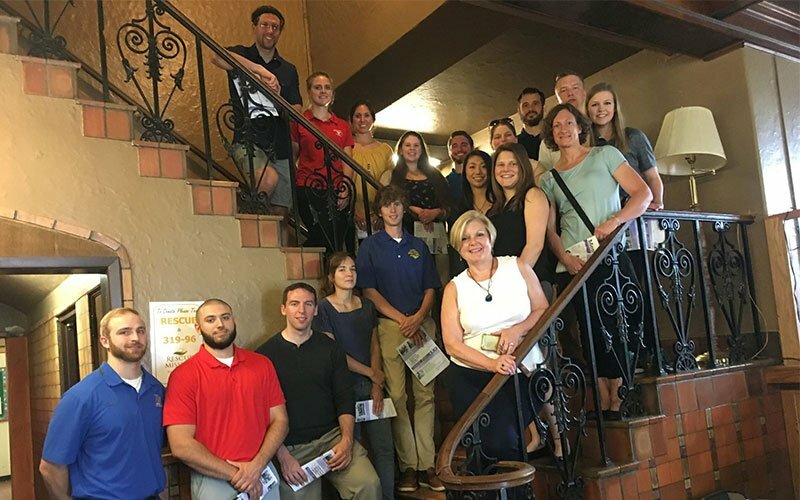 Why tour the Mission with a group? 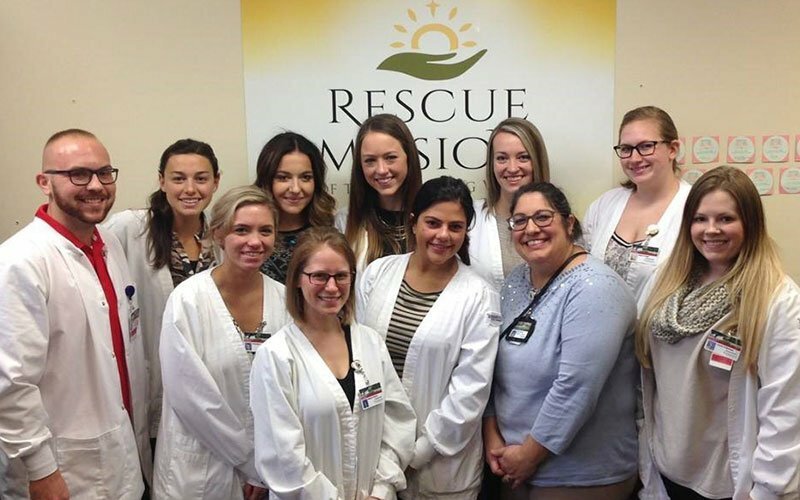 Has it been a while since you’ve toured or have your ever wondered how the Mission makes a difference? This is a free group opportunity for coworkers, clubs, families and small church groups! Great things happen here! The Mission’s Shuttle Van is available to pick up groups (from 5 to 13 people) who are located within a 1/2 hour radius of our shelter, drive you to the Mission, provide a 30-minute tour and return you to your location. We prefer to conduct these tours weekdays between 9 am and 4 pm, but special accommodations are possible. 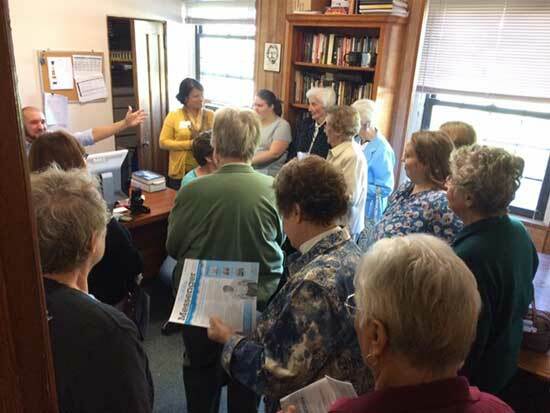 Just call our Mission Ambassador during regular business hours at 330-744-5485 for details and to arrange your group tour. Download the Shuttle to the Shelter brochure here. All riders must be adults, please. Shuttle accommodates up to 13. Available for pick up locations within a 1/2 hour radius of our shelter. Available weekdays 9 am to 4 pm (other times possible, but subject to availability). Minimum 1-day advanced reservation required. Restaurants, please download our Take Out Team Brochure! Local Restaurants have so much to offer our community! We are so thankful for each and every one of you. If you feel led to partner in a bigger way with the Mission, we have a great opportunity! Restaurants….become a “Take Out Team” member… It’s easy! Commit to providing a lunch meal for our Mission Clients once a month or so (generally that is a meal for 150—200 people at our Emergency Shelter. 962 Martin Luther King Jr Blvd Youngstown, Ohio 44510). You can either prepare the meal for take out and we will pick it up or even better, bring it to the Mission with a team of your coworkers. There are volunteer opportunities to serve the meal alongside our clients and staff. It’s a great team building experience and really will give you a great sense that you made a difference! We will have the serving utensils, food trays, volunteers to help unload, warming table and a cleanup team all ready to go. You only bring the meal (and help serve if you like). Your food donation is 100% tax deductible and we can provide you with a receipt. We will feature your restaurant name in our dining hall, on our website, and in social media. You’ll get to know our volunteers, staff, and clients and see firsthand how God is working in Youngstown. You have the opportunity to volunteer to serve the meal as well. Would you like to learn more? 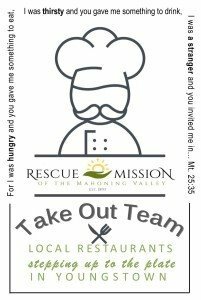 Please contact our Food Services Supervisor at 330-744-5485 or email 2ndchance@rescuemissionmv.org.